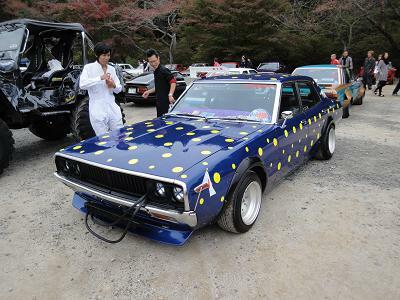 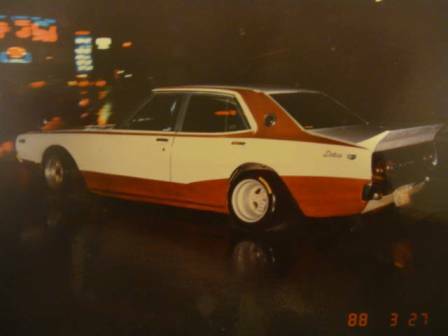 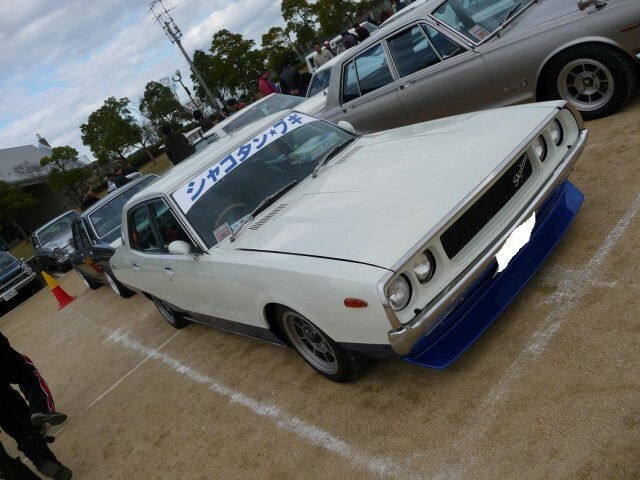 Lucky enough not everyone copies the Shakotan Boogie Soarer or S30, so this Yonmeri Skyline GC110 got the same look and colors as Michiaki’s Skyline! 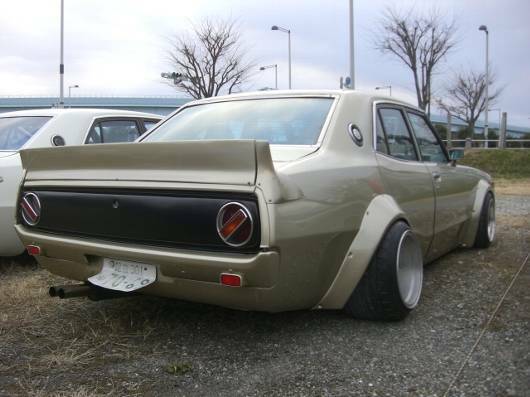 So here it is: a Yonmeri Skyline C110 with blister fenders, takeyari side-exhaust and, of course, the Gloria (or Cedric) 430 headlights! 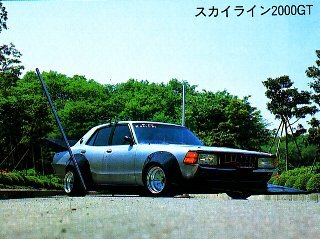 So next time it will be a Gloria/Cedric 430 with some sort of part swap.